The Guardian has a great article up about Mike Biddle, former CEO of MBA Polymers and one of the pioneers of plastic recycling. It covers some of the persistent problems with plastics and emerging solutions in electronic waste recycling as well. This month, Mike Biddle, the founder and longtime CEO of a pioneering plastics-recycling company called MBA Polymers, stepped down as an executive at the firm, ending more than two decades of unrelenting effort to reduce plastic waste. MBA Polymers operates recycling plants across the world that collectively reclaim over 300 million pounds of plastics each year. However, none are in the US. Our policies just haven’t caught up to the recycling market. Biddle is disappointed that he has been unable to take the company further. He estimates that as much as 500 billion pounds of plastics are thrown away every year, only a tiny fraction of which is captured by MBA Polymers. He’s especially frustrated that the company isn’t operating in the US, the country that educated him and provided the seed money for his research. Why can’t the company gain traction in the US? Building plants to reprocess plastics is expensive, and MBA Polymers cannot be sure it will get a large enough – and secure enough – supply of US plastic waste to justify the capital cost. One way to secure a more predictable supply of e-waste would be to place some of the burden of collecting it on manufacturers. That’s what the EU has done. Its “extended producer responsibility” laws, which require electronics to be collected and recycled, have created a robust collection system for used cell phones, tablets, computers and other e-waste. “They primed the pump with policy,” Biddle says. In the US, Texas and 22 other states have passed similar laws for electronic waste. We’re making progress – in fact, manufacturers collected 38 million pounds of e-waste in Texas alone last year. (Other states with stronger versions of this law are collecting far more, so we can definitely do more here.) But for plastics and packaging, we’re still way behind the curve. Read the full article here, it’s worth a look. With electronic devices topping the list of Holiday gift ideas for the umpteenth year in a row, battery sales are at their peak and many “green” buyers are wondering, which brand is best for the planet? The familiar label, “Batteries Not Included” translates to the average buyer as, “Grab the cheapest pack of batteries that fit,” but a number of considerations do impact the environment, and some brands do a better job than others to ensure that their products will not end up in landfills. Any device that uses AA or AAA batteries – some digital cameras, gaming accessories, and remote controls – can use either a rechargeable or single-use battery. Which is better for the environment? For a number of reasons, rechargeable batteries hold the green advantage. First, an obvious benefit is that you’ll use them over and over – almost anything that is designed to be used just once and then thrown “away” is going to be bad for the planet. Next, when those rechargeable batteries finally do stop working, there are recycling programs available to keep them out of landfills. Many retailers such as Best Buy, Home Depot and Staples will take them back for recycling. This is possible because of their partnership with battery manufacturers, who actually foot the bill for rechargeable battery recycling to save local taxpayers money. Rechargeable batteries do contain more toxic materials –such as cadmium or lithium— than their single-use counterparts, so it’s extremely important to recycle them responsibly. Single-use, or “disposable” batteries no longer contain the most toxic materials, but they do contain recyclable metals, zinc and alkaline. Because there is no widespread, convenient recycling program in the U.S., single-use batteries are wasted into the landfills by the billions each year. These metals can still be hazardous when they leach into underground water sources, and all this waste costs ratepayers millions of dollars. Although single-use batteries can be recycled, battery manufacturers have not yet established the same kind of recycling program they have in place for rechargeable batteries. This is mainly due to just one company: Rayovac. In 2011, companies such as Energizer, Duracell and Panasonic agreed to form an initiative to fund single-use battery recycling. But Rayovac withdrew and brought the efforts to a halt. 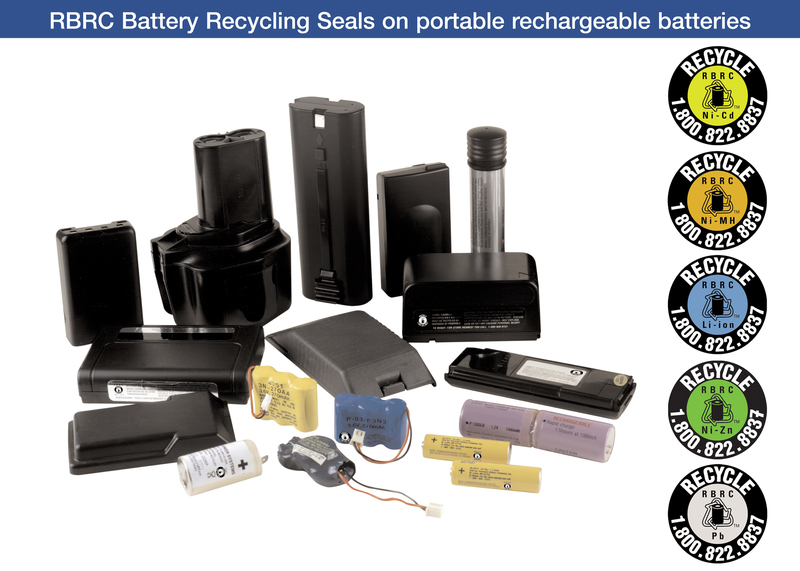 The “Corporation for Battery Recycling” or CBR would have provided the same convenient recycling for single-use batteries that now exists for rechargeables, if Rayovac had not pulled out. Here in the U.S., Rayovac claims that throwing batteries in the trash to be landfilled or incinerated poses no threat to the environment. In Europe and Canada, however, Rayovac does participate in manufacturer-based recycling and hypocritically boasts its eco-consciousness. Holiday shoppers in those other countries don’t have to worry about what to do with their batteries. Bah humbug. Social media meme created by Texas Campaign for the Environment. 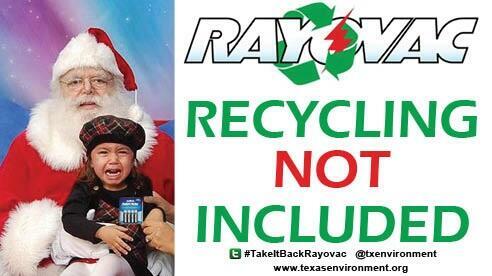 Please, take a moment to let Rayovac’s CEO know that you are keeping their environmental record in mind when shopping for batteries this holiday buying season, and that if they expect responsible consumers to spend money with them, they need to be responsible with their products. Email Dave Lumley, CEO of Rayovac’s parent company Spectrum Brands at David.Lumley@spectrumbrands.com, and tell him that you want Rayovac to offer recycling, or you’ll take your business elsewhere! Help spread this fun image and let people know about how naughty Rayovac has been when it comes to the environment and recycling. Please, share it on social media (Twitter, Facebook, Instagram, etc.) and let your friends and allies know: Rayovac needs to embrace—not spurn—battery recycling for its U.S. customers! Proof that “Producer TakeBack” can work for a wide variety of hard-to-recycle household products: Connecticut has become the first state to require manufacturers to take back and recycle old mattresses. You can read the full article here. Connecticut has passed the nation’s first-ever extended producer responsibility (EPR) bill for mattresses that supporters say will save local governments about $1.3 million and increase recycling opportunities for businesses. The law will require mattress manufacturers to finance and manage a mattress collection and recycling program. Connecticut government officials estimate that municipalities across the state manage more than 175,000 discarded mattresses each year. Up to 95 percent of the mattress materials can be easily recycled — including steel, cotton and foam — but most mattresses in Connecticut are currently shipped to out-of-state landfills or waste-to-energy facilities. Once signed into law, mattress manufacturers and renovators will be required to fund and manage a single stewardship organization, called the council, that will provide free collection and recycling services to municipalities, which include storage containers for municipalities to aggregate mattresses at transfer stations. 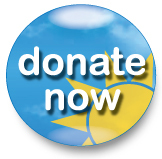 A fee paid by mattress producers will fund the program. The producers will pass the fee onto retailers, who will then pass it on to consumers at point-of-sale. Connecticut isn’t alone; California may become the next state to take action. Producer TakeBack is gaining ground. What other household products will be added to the list next? Yesterday, April 24, 2012, GreenBiz.com published a story about Best Buy’s ewaste recycling program being a profitable endeavor while remaining free to consumers by utilizing state manufacturer takeback laws. Today, the program generates two streams of revenue. 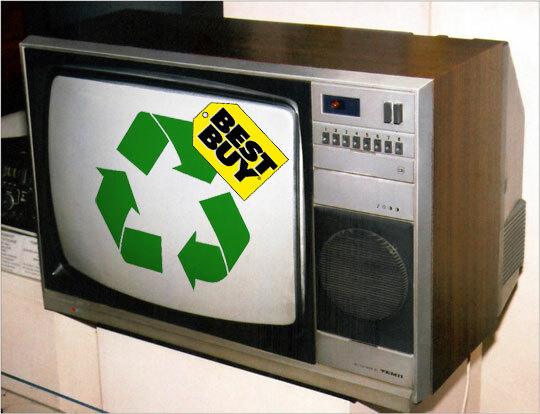 First, Best Buy takes a cut from its recycling partners. When truckloads of old TVs, PCs and dryers go to its processing partners, the plastic, gold, lead, nickel and other materials recovered from the dismantled waste is sold to be remade into new materials. And while volatile, the prices for all of these commodities have generally been heading up over the past few years, raising the share that comes back to Best Buy. A very small percentage of the waste, Raudys estimates, ends up recovered and refurbished. Best Buy has also been able improve its margins by steadily lowering the costs of collecting and transporting the consumer waste by improving workflows and boosting volumes, he said. Higher volumes of waste let Best Buy win more competitive rates from its recycling partners as well. Best Buy has stepped up shown that this program works and generates revenue so why don’t other retailers like Walmart step up too? To learn more and encourage Walmart to do what Best Buy does, visit the TCE website here and TakeItBackWalmart.com. Not all recyclers are created equal when it comes to the proper disposal of e-waste. Increased concerns about exportation of recycled e-waste polluting the water supply and contaminating soil in developing countries has become a hot-button issue internationally, domestically and locally. In this session of Congress, Rep. Gene Green, D-Texas, says he plans to resubmit a bill prohibiting the exportation of e-waste. The Responsible Electronic Recycling Act (HR 2284) was introduced in the U.S. House in June 2011 by Representatives Gene Green (D-Houston), Mike Thompson (D-CA), Steven LaTourette (R-OH) and Lee Terry (R-NE). In the U.S. Senate, the companion bill (S 1270) was introduced by Senators Sherrod Brown (D-OH), Sheldon Whitehouse (D-RI) and Lisa Murkowski (R-AK). In addition, Dell, Apple, HP and Best Buy all support the bill. To learn more about the many problems caused by exporting toxic electronic waste overseas, the best place to start is this 60 Minutes expose. It’s worth a watch! Texas hold’em? Not so much anymore. Obsolete televisions that used to end up roadside or otherwise illegally dumped in the Lone Star state will now be properly recycled thanks to new legislation. Gov. Rick Perry signed a bill into law last week that compels TV manufacturers to take back and recycle old sets. Televisions, like other electronics, disgorge heavy metals and other toxic materials into the ground and water as they break down in landfills. Old-fashioned cathode ray tube TVs contain four to eight pounds of lead, while newer flat-screen styles use several mercury bulbs to light the screen. Now that the bill has been signed, our state environmental agency (Texas Commission on Environmental Quality, or TCEQ) will begin crafting the rules to implement and enforce it as a state law. Environmental groups and recycling advocates will work to press TCEQ officials to adopt strong rules that will result in effective recycling programs for all Texas residents. In addition, Texas Campaign for the Environment is also calling on retail giant Walmart to participate and offer e-waste recycling at its stores — a move best Buy has already made. To learn more and help encourage Walmart to get with the recycling program, visit the TCE website here. As the 2011 Texas Legislative Session winds down to a close, there are at least two bill to improve recycling that stand a good chance to pass. H.B. 695, sponsored by State Representative Alma Allen (D- Houston), would provide manufacturer-based recycling programs for mercury containing thermostats. S.B. 329, sponsored by State Senator Kirk Watson (D- Austin), would put manufacturers in charge of recycling their obsolete televisions. These proposed bills would require manufacturers to pay for the collection, transportation, and recycling of waste from consumers, small business, schools, and local governments. Producer takeback recycling ends the existing system of local taxpayers subsidizing waste, shifting the cost of waste management from governments to producers. Producers have the control over design and should be responsible for the solutions. By making the producer responsible for their end of life products, there is a market-based incentive to start designing for reuse, recycling and with safer materials. In addition it levels the playing field to make it fair for everyone. “After the digital tv switch, a lot of people are going to say ‘no one’s going to want my old analog tv, I need to get rid of this,’ and we expect to see an e-waste tsunami of electronic trash headed for our landfills,” Robin Schneider with Texas Campaign for the Environment, said. Some television companies, such as Sony, Samsung, and LG, already have recycling programs, and they’re aiming high: they want to have recycling centers nearby for 95 percent of America’s population. Mercury-added thermostats more mercury than any other household product. In fact, 6-8 tons of mercury from old thermostats is tossed into U.S. landfills each year. The disposal of mercury-containing products in our landfills and incinerators poses unique problems. In a landfill, mercury often breaks down into its more toxic, more dangerous organic form, methylmercury. In one study of landfill gas destined for venting, researchers found methylmercury at levels one thousand times higher than typically measured in open air. There are an estimated 50 million mercury-containing thermostats remaining in homes across America that have yet to be discarded. Both of the proposed bills have received bi-partisan support, as well as support from local governments and the manufacturers themselves. The TV recycling bill has already passed though the Texas Senate, and both bills could pass though the Texas House within the next week.